Does anyone know what the Texans are doing? Are the Colts primed for a Super Bowl run? Can the Jaguars finally move upwards in the standings? Are the Titans ready for life after Chris Johnson? Let’s see what happened this offseason for the AFC South Division. Free Agency: QB Ryan Fitzpatrick (Titans) becomes the new signal caller & RB Andre Brown (Giants) adds depth. The Texans helped their secondary by adding SS Chris Clemons (Dolphins) & FS Kendrick Lewis (Chiefs); NT Jerrell Powe (Chiefs) is a welcome addition. The Texans added a good amount of youth, which is what they needed, after losing a lot of veteran players to free agency. Draft: The Texans made South Carolina DE Jadaveon Clowney the top pick in the 2014 draft, and it’s hard to argue against that. Clowney’s athletic ability is undeniable, and despite an unspectacular senior season, he should be an exciting member on the D-Line for years. The Texans got plenty more. UCLA OG Xavier Su’a-Filo is one of the top interior lineman in the draft. Iowa TE C.J. Fiedorowicz is a good big body player that can block & catch. Speaking of big bodies, Notre Dame NT Louis Nix should be a dominant force, if he can keep his weight down. QB Tom Savage from Pittsburgh may not be a prototype, but he is a good project player, and Louisiana State RB Alfred Blue should be a good all-purpose back. Overview: The Texans are difficult to get a full grasp of. They have talent, but had a horrible season last year. Veteran players Owen Daniels, Ben Tate, Tim Dobbins, Danieal Manning, Joe Mays, Earl Mitchell, Darryl Sharpton & Antonio Smith are all gone, which has put the Texans in a complete rebuild. The draft got them several top notch blue chip players, but there is still no legitimate QB on the roster, and longtime standout WR Andre Johnson has been looking for a trade. The Texans have set a strong foundation, but it could be awhile more for them to be considered a top team. Free Agency: LB D’Qwell Jackson (Browns) & DE Arthur Jones (Ravens) will help the defense a lot. WR Hakeem Nicks (Panthers) will help spread the field. Draft: The Colts had to wait for the 2nd round to pick and they grabbed Ohio State OT Jack Mewhort, a solid if unspectacular lineman. Mississippi WR Donte Moncrief is a potential steal in the 3rd round, and Western Kentucky LB Andrew Jackson is a good late round pick. Overview: Despite losing Antoine Bethea & Donald Brown and having only 5 draft picks, the Colts are well equipped to make a deep run into the playoffs. QB Andrew Luck is in his third year, and he could be ready to lead this team to Super Sunday. Free Agency: The Jaguars had lots of cash to spend, and unlike the Raiders, they spent it wisely. On defense they snagged 3 DE’s, Red Bryant, Chris Clemons (both Seahawks) & Ziggy Hood (Steelers), and LB Dekoda Watson (Buccaneers). On offense OG Zane Beadles (Broncos) & RB Toby Gerhart (Vikings) are major upgrades, while WR Tandon Doss (Ravens) & FB Bradie Ewing (Falcons) add good depth. Draft: The Jaguars surprised everyone when they selected Central Florida QB Blake Bortles to be the heir apparent. He has the measureables to be a top QB in this league. The Jaguars then drafted a pair of shiny toys for their future QB; WR’s Marqise Lee from USC & Allen Robinson from Penn State. These receivers have bright futures ahead of them. Miami OG Brandon Linder adds beef to the O-Line, while Oklahoma CB Aaron Colvin is a splendid mid round pick. Florida State LB Telvin Smith & Arkansas DE Chris Smith are good depth picks, and Central Florida RB Storm Johnson is the icing on the cake. Overview: Head Coach Gus Bradley is ready to make his mark on the team, as he has assembled a new foundation of players to get the Jaguars back to winning. The loss of RB Maurice Jones-Drew signals a new era in Jacksonville, and while the Jaguars may not be contenders overnight, they definitely took a big step forward in returning to their old winning ways. Free Agency: The Titans got more solid on defense with the signings of LB Wesley Woodyard (Broncos) NT Al Woods (Steelers) & DE Shaun Phillips (Broncos). On offense OT Michael Oher (Ravens) & OG Eric Olsen (Steelers) should provide stability. While WR’s Dexter McCluster (Chiefs) & Brian Robiskie (Falcons) will give the Titans some much needed firepower. QB Charlie Whitehurst (Chargers) is a very good back-up. Draft: Michigan OT Taylor Lewan comes with a successful college career and a big nasty streak. Washington RB Bishop Sankey provides more speed out of the backfield, and Penn State DT DaQuan Jones is a project. The one pick to watch out for is Louisiana State QB Zach Mettenberger. He comes with a lot of success, the right measureables and has played in a pro style offense. He may not have to wait to long to be the future. Overview: So who are the Titans? With Chris Johnson, Alterraun Verner & Kenny Britt gone, the Titans have fielded some good new players onto the team. 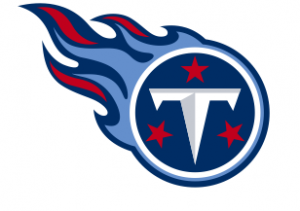 Now, can the Titans take the next step, or continue to be an average or below average team? The big question mark is QB Jake Locker. With just one year left on his contract he is in a do or die situation. The Titans have talent, now they just need to recognize their potential. This entry was posted in American Football, Football, NFL, Uncategorized and tagged AFC south, cabana boys, carolina panthers, indianapolis colts, jacksonville jaguars, nfl preseason, nfl preview, review, tennessee titans. Bookmark the permalink.